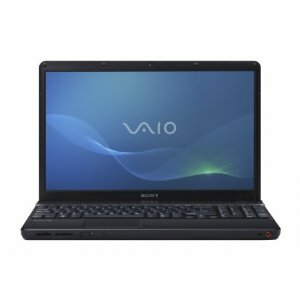 Sony VAIO VPC-EB3AFX/BJ is a 15.5-inch laptop powered by a 2.0 GHz Intel Pentium P6100 dual-core processor, 4GB DDR3 RAM, and 320 GB SATA hard drive (5400 RPM). 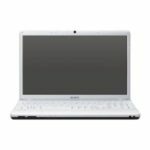 It sports a 15.5-inch LED-backlit display (1366 x 768), Intel HD Graphics, 8x multi-format DVD drive, webcam and microphone, Built-in stereo speakers, 802.11b/g/n Wi-Fi, and 6-cell battery. The laptop runs on Windows 7 Home Premium (64-bit) operating system. The Sony VAIO VPC-EB3AFX/BJ is ideal for watching movies, the 15.5-inch LED-backlit display comes with 1366 x 768 resolution for native 720p HD viewing, the Intel HD Graphics delivers smooth, high-quality HD video playback, and excellent 3D capabilities with support for Microsoft DirectX 10 games–an ideal graphics solution for everyday computing. You'll have wonderful experience with it. And the 8x multi-format DVD drive supports reading/writing of CD-R/RW, DVD±R, DVD±RW, DVD±R DL, and DVD-RAM. 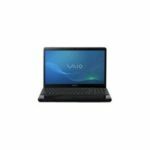 The laptop has built-in stereo speakers with headphone output and Intel High Definition Audio, comfortable, isolated keyboard with built-in numeric key pad. And MOTION EYE webcam and microphone lets you quickly snap photos and video chat with friends and family. It also provides HDMI port for connecting to a compatible HDTV or home theater receiver for uncompressed digital audio and video via a single cable. What's more, you have 4 total USB ports with 1 eSATA/USB combo port that enables you to connect to compatible external hard drives for lightning fast transfers of large multimedia files–up to 5 times faster than via a standard USB port. 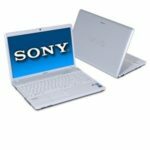 So I think you guys will like this Sony EB series laptop too. Another good thing is, the price is quite imaginable, it's $669.99 from Amazon, a lot of people are very happy to afford it. 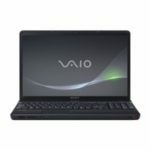 So what do you think about the Sony VAIO VPC-EB3AFX/BJ 15.5-Inch Laptop?